When I first started working for the BBC I was handed an inch-thick folder labelled “Producer Guidelines.” Small confession: I never read them or certainly not cover to cover as demanded. Be honest have you read every word of your company’s staff guidelines? Of course you haven’t. Life’s too short. I’m not saying that organisations shouldn’t have or don’t need rules and regulations. But if they’re over long there’s no point in having them in the first place because they wont get read. The same goes for social media guidelines – the rules of engagement if you like – that dictate staff use of Facebook, LinkedIn, Twitter, Google+, YouTube, Blogs (like this one) and all the other platforms too numerous to mention. Social media works best for organisations when those doing it have at least a modicum of fun. Over regulation threatens to make it unfun (if there isn’t such a word then there should be). And who in their right mind would want to spend a significant chunk of their lives doing unfun stuff? Not me. Try not to say anything really daft. Really try not to say anything that will bring you or us into disrepute. Re-read everything at least once before you hit the send button. And remember if you really mess up you’re fired! This article is an abridged extract from the social media training manual that accompanies my social media training workshop. 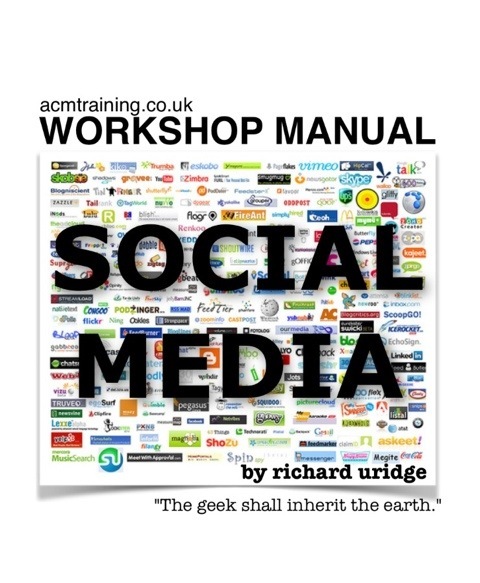 If you’d like to read a sample chapter click here or if you’d like to book a place for just £99 on one ACM’s social media training courses click here.